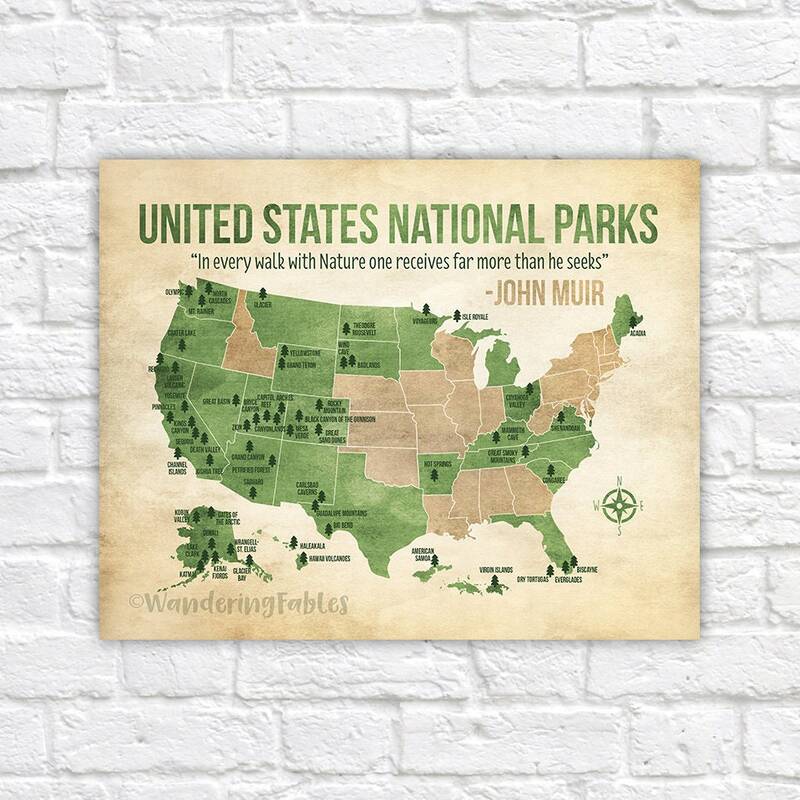 NEW at Wandering Fables...Custom National Parks map! Personalize the colors to match your style. Want this to show the National Parks visited so far? We can change the color of the Parks visited and the Parks you hope to someday visit. Or, keep the map exactly as-is! This is a great gift for the adventurous person in your life, or a great Map to have on the wall in your home for Children to learn about the National Parks! 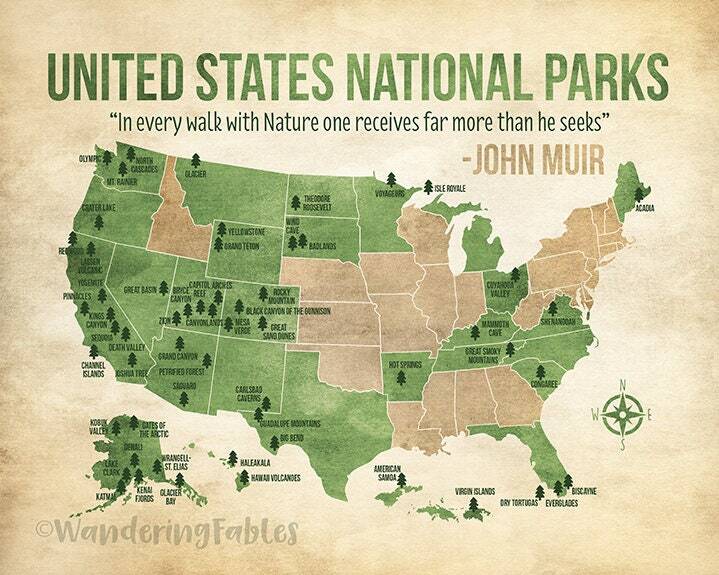 ALL national parks are shown on this special map. 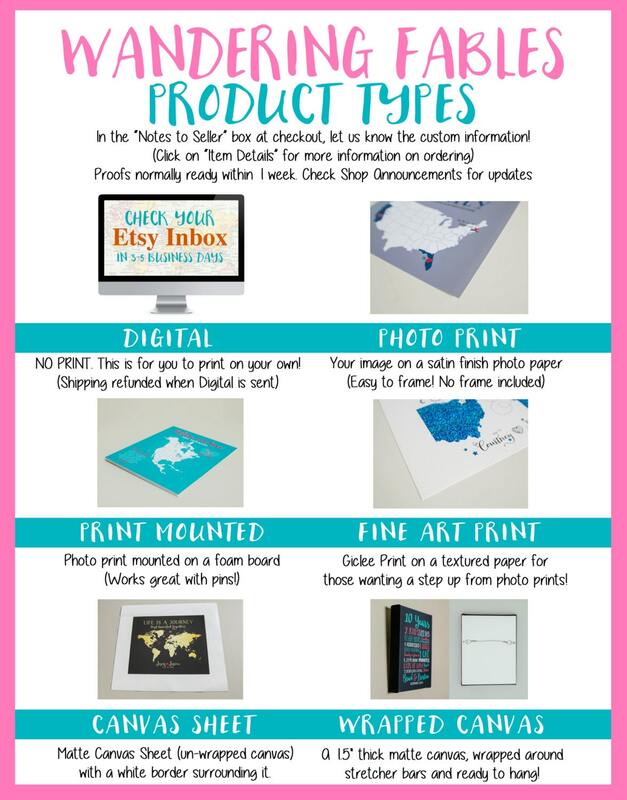 Please note, if there are no customization notes at checkout, we will ship this out as shown. 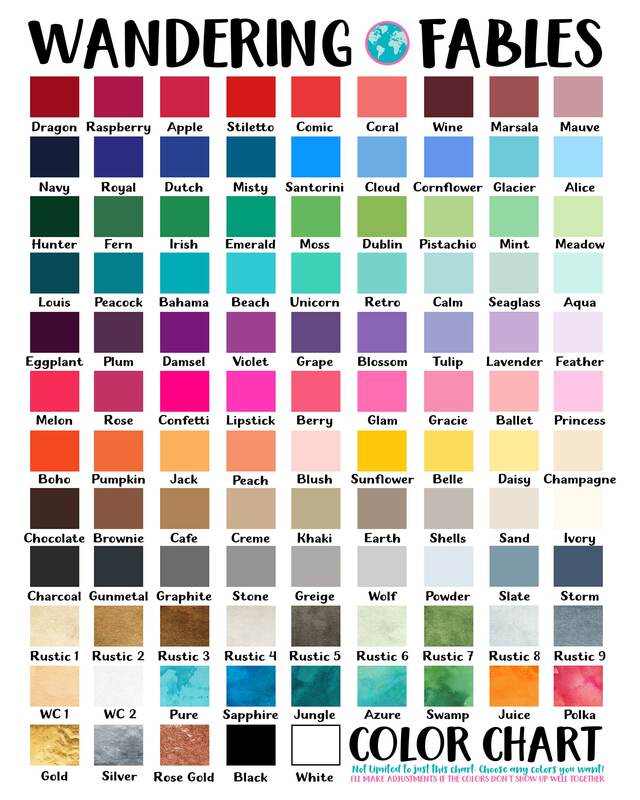 If you require a change in colors or quote, please make sure to contact us after your order is placed!